The 240 Volt SoftHeat Hydronic Electric Baseboard Heater uses a self-contained circulating fluid and convection heating to provide a gentle, steady, warmth that fills the room to keep you comfortable. No plumbing, water supply, or refilling required. Whisper quiet operation and low surface temperatures make it ideal for bedrooms, supplemental warmth, or to replace old heaters to improve efficiency. Experience longer heat retention, greater energy savings, and minimal temperature variation. The quality steel construction with a powder-coated paint smooth finish includes a 7-Year manufacture's warranty. Hard-wired installation instructions are easy to follow: wiring is available at the left end of this model. The revolutionary Dimplex Linear Convector baseboard is smaller, faster and smarter. It has more flexibility and versatility for room layout and furniture placement. The shark fin element design moves heat through the heater and into the room 40% faster. Hit-lock connectors in both ends of the unit allow for easy installation. Optional wall mounted thermostats available. 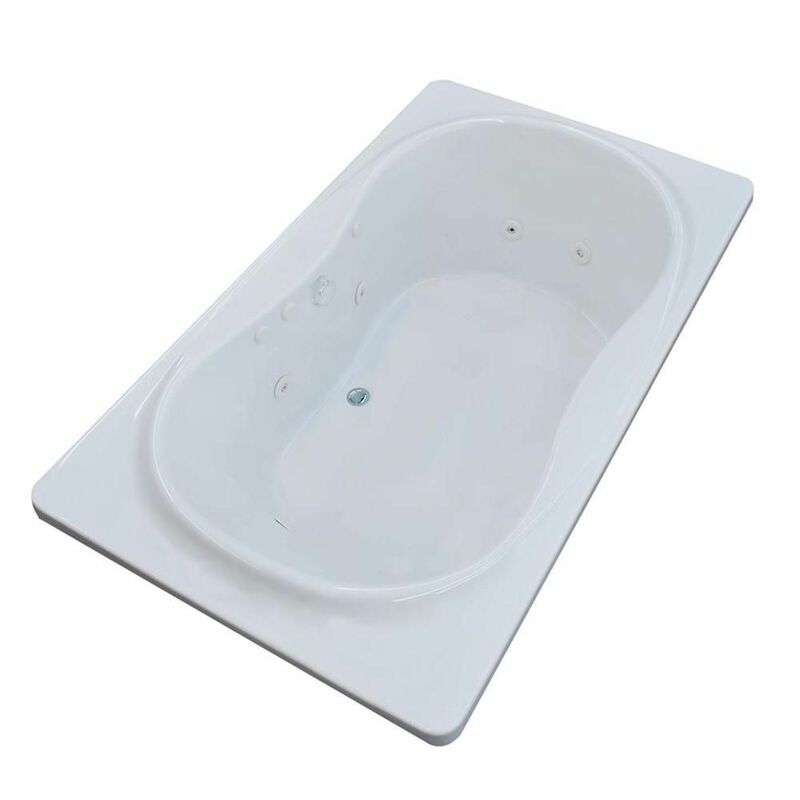 Star 6 ft. Acrylic Drop-In Center Drain Rectangular Whirlpool Bathtub Friction Heater in White Star rectangular bathtubs are equipped with an oval opening. Two round cockpits are placed on either side, providing extra back and arm room. Star 6 ft. Acrylic Drop-In Center Drain Rectangular Whirlpool Bathtub Friction Heater in White is rated 4.0 out of 5 by 1. Rated 4 out of 5 by Mark from As shown, did not come with drain, extra 200 from manufacturer, this was not listed anywhere I saw. As shown, did not come with drain, extra 200 from manufacturer, this was not listed anywhere I saw.